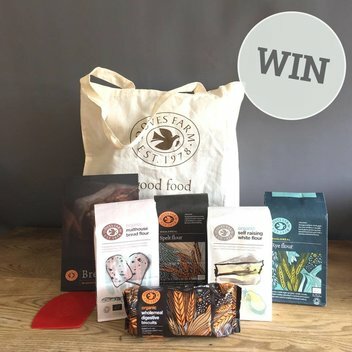 Get a free organic goody bundle | FreebieFinder UK | Freebies, Samples, & Other Free Stuff. Check out Dove Farm’s Facebook page to participate in their social media giveaway where they have 40 organic goody bundles upper grabs. Included in this healthy organic bundle are different organic flours, breads and biscuits. This was posted 7 months ago 8th September 2018 and expired 6 months ago 1st October 2018. Be one of the lucky people to receive an organic goody bag from Dove Farms by entering this giveaway on the Dove Farm Facebook page.